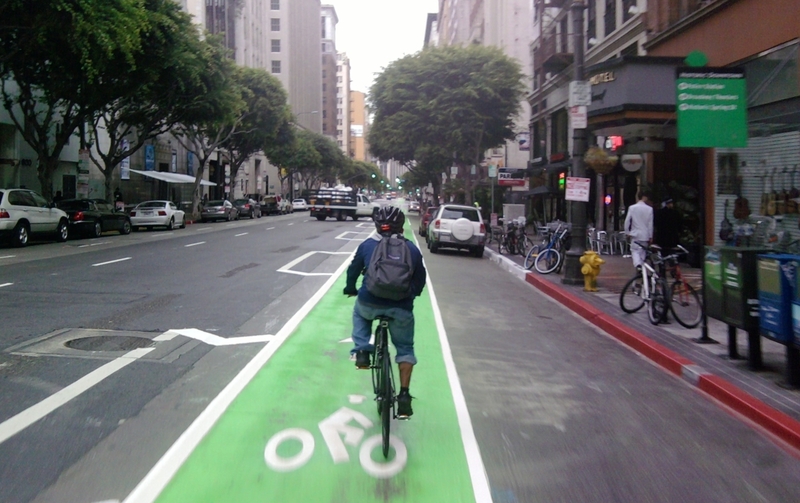 Spring Street Green Buffered Bike Lane on the Way! Spring Street between 6th and 7th in Downtown Los Angeles. The two right/west lane markings have been scraped away in order to re-stripe with a brand new green buffered bike lane. 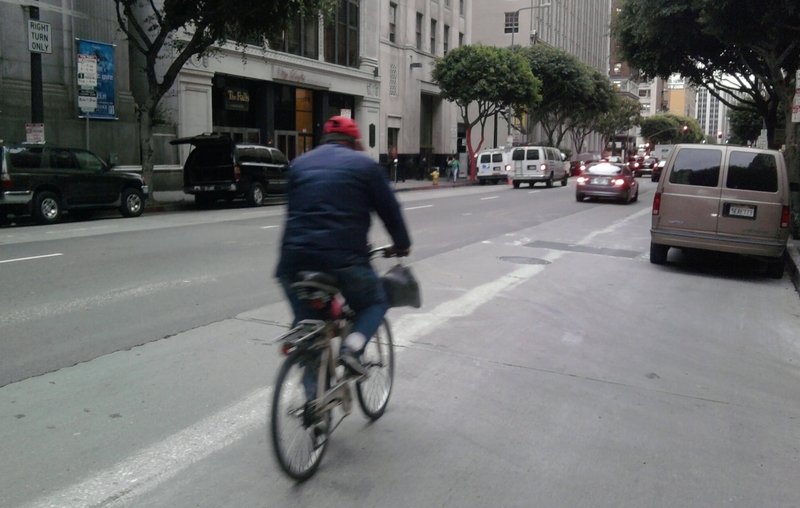 The Downtown L.A. ThinkBike team included folks from DLANC, FAST, LACBC, LADOT, and Metro. The pdf of their full slide show is on-line at LADOT.